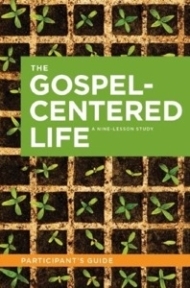 The Gospel-Centered Life Participant’s Guide” is a nine-lesson small group study intended to help participants understand how the gospel shapes every aspect of life. Each lesson is self-contained, featuring clear teaching from scripture, and requires no extra work outside of the group setting. Pastors and leaders who want to spur Gospel renewal in their churches and ministries. Church-planters who want to form Gospel DNA in the churches they start. Students and campus ministers who are looking to live out the Gospel on campus. Christians who want to be more deeply formed around the Gospel. Small group leaders who are looking for content that ‘works’ with diverse groups of people. Missionaries who are looking for simple material to disciple new Christians. Bob Thune, MA (Reformed Theological Seminary), is the lead pastor of Coram Deo, A gospel-centered church he planted in 2005 in Omaha, Nebraska. Bob and his wife Leigh have four children.